Are you one of those employees that got an offer to work in another country like the United Arab Emirates, in Dubai in particular? If so, then you may be having second thoughts whether or not to accept the offer. This article was written for people like you—those thinking about moving to another place to start a new career and life. First it is natural not to give in at first because UAE is far from your home country and its people may have different culture and lifestyle from what you have. It is normal to feel anxious or overwhelmed with the thought of working at a foreign country. However, you should look into the issue in an unbiased way, considering your options well. You may have dozens of reasons why you should not accept a job offer to work in Dubai but you also dozens of reasons why you should pursue it. 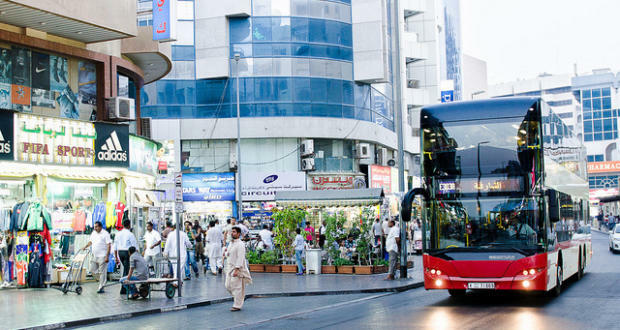 Below are some of the reasons why some of foreigners decided to work in Dubai and settle there. Dubai is currently one of the megacities in the world. Since the past decade, Dubai has proven its aggressiveness and competitiveness. This is apparent with the construction of groundbreaking and iconic structures like Burj Al Arab and BurjKhalifa. The emirate’s economy continues to soar, making it a good place to start a business or a career. If your concern is your children’s education, you don’t have to worry because you can find a British school in Dubai. Compared to other companies from other cities and countries, Dubai-based firms offer higher pay to professionals. Some of the positions pay comparable to companies based in the United Kingdom, which is relatively high. If you want to have a better-paying job, then working in Dubai is practical and ideal. You are used to live in UK or any other part of the world, and you starting to feel exhausted of your day-to-day life. If you are experiencing this, Dubai can give you a new and refreshing experience. The emirate’s people have diverse and colorful culture, which you may find interesting. Working in Dubai will give you more life experiences, which will make you not only a better professional but a person as well. Also, if you decide to enroll your child at a British school in Dubai, you will be sure that he or she will only receive the best quality education. Probably one of the most interesting facts about Dubai as far as finance is concerned is that in UAE, you don’t have to pay taxes. The emirate does not charge income tax on salaries of employees, which means you will be able to save more. Employees in UK have to pay for taxes, which decreases their take-home wage. In Dubai or in any emirate in UAE for that matter, you don’t have to pay for taxes. If one of your main concerns why you are never enthusiastic about moving to Dubai is about starting anew there, then you should know that moving your belongings from your country to UAE can be done easily. There are many good moving professionals you can choose from. These companies will help you move your items to Dubai at ease, eliminating your worries. Your company will assist you in all of your moving needs, making your move much more convenient and hassle-free.